I am obsessed with these protein pancakes! 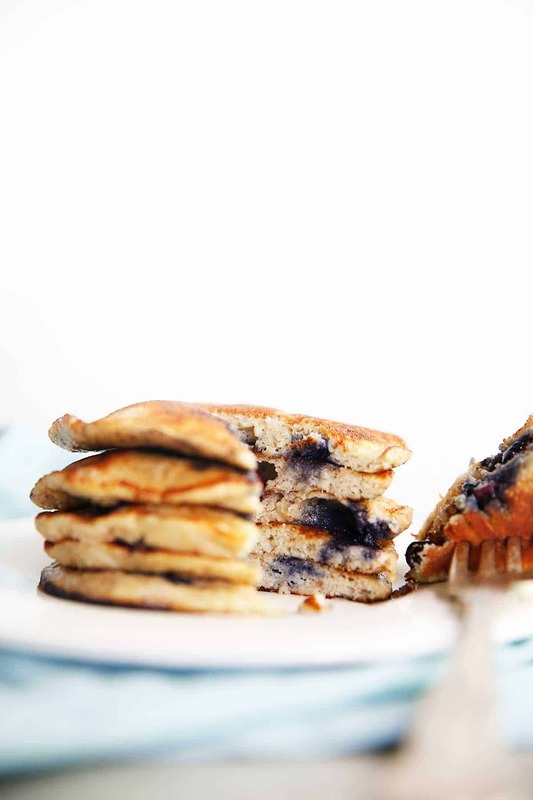 Just 5-ingredients, one-bowl, and they result in fluffy and delicious healthy pancakes! 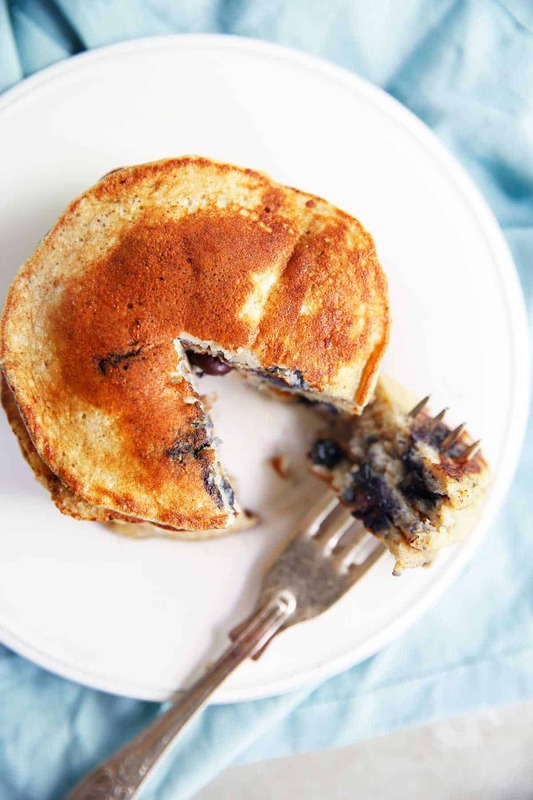 these healthy protein pancakes have a WHOLE LOT of protein per serving, and are super quick for an easy breakfast any day of the week. There was a good 6 weeks where these beauties were made every single morning and I never got sick of them! I couldn’t get over how nutritious and customizable they were. Add banana, blueberries, chocolate chips… the options are endless! I also started adding spices such as cinnamon to change things up a bit. Your batter should be a fairly thin consistency, remember, these aren’t traditional pancakes! These protein pancakes are nutrient-dense and pack a punch of added protein. They are perfect fuel for a busy morning or a pre-workout breakfast! Mash banana in a medium mixing bowl. *You can also blend the banana in a high-speed blender to make these extra fluffy. Add the rest of the ingredients to the medium mixing bowl and whisk until no clumps remain. Add additional add-ins of choice. Heat butter or avocado oil in a medium skillet over medium-high heat. Once the butter melts, turn down heat to low and pour in batter. Cover and let cook for 3-4 minutes. Flip, and cook for another 3-4 minutes or until golden brown on each side. Serve warm with maple syrup, or additional toppings of choice! *Be patient! Cook it over low or medium heat in order for them to cook properly. **We like Vital Proteins and SFH protein powder. ***Photos updated May 8th, 2017. Do you have a pancake flavor you’d like to see? Hey Lexi! Your blog is absolutely awesome, I’m so inspired! I saw this recipe and decided to give it a try this morning. I had chocolate whey protein so I used that instead of vanilla, and I threw in chocolate chips and coconut shavings. They were so easy (I’m definitely not a pancake-making expert and it took me around 10 minutes), delicious, and, as importantly, so filling! I’m not a GF eater exactly so I still have to get used to the texture, which isn’t as fluffy as traditional pancakes, but I’d still much rather have protein powder in a yummy pancake than in a smoothie, where I still can’t stand the chalkiness. I will definitely play around with the mix-ins and try this again! Just needed to tell you that you’re a genius!! I tried this recipe this a.m. and had to make them again for dinner…addicting! Came out perfect…love your recipes, your blog and follow you on IG! I’m so glad I’ve come across your amazing ideas–you’re brilliant and inspiring! Carissa, thank you so much for your kind words! I think I ate those pancakes everyday for over 2 months, haha. Enjoy! This base protein pancake recipe is the best I’ve had! I feel like I have tried every possible combo of protein/carbs and this one is by far the best. The banana makes it sweet enough to where you don’t even need syrup! I’m lazy, so I throw everything in my magic bullet & blend instead of mash (note: if you choose to do this method you’ll need to add some liquid (egg whites or almond milk work best). 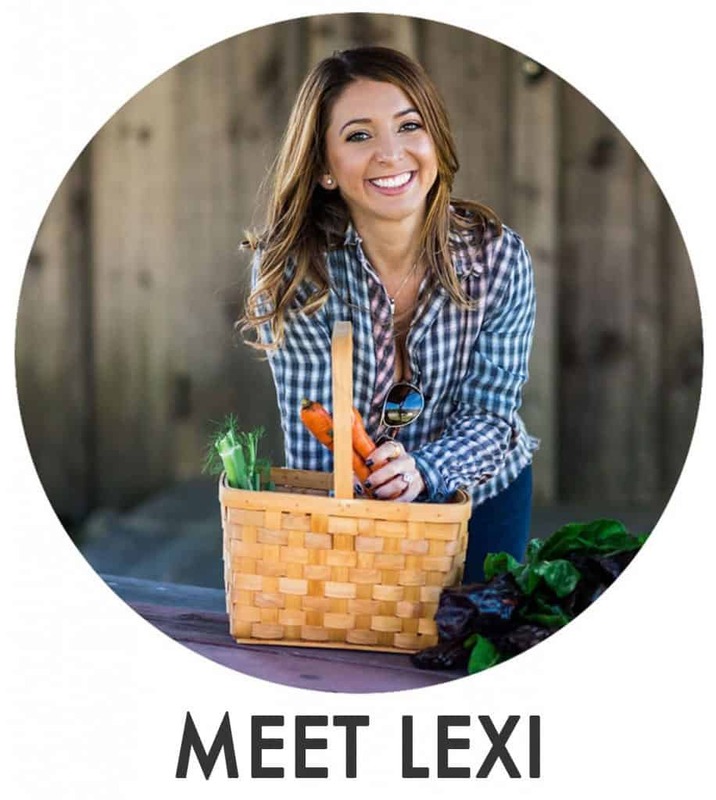 Lexi, your blog/instagram is the best! Matt, I’m so so happy you liked them! Thanks for sharing that tip, and thank you for the kind words! Found your website yesterday and tried your pancakes first thing this morning. 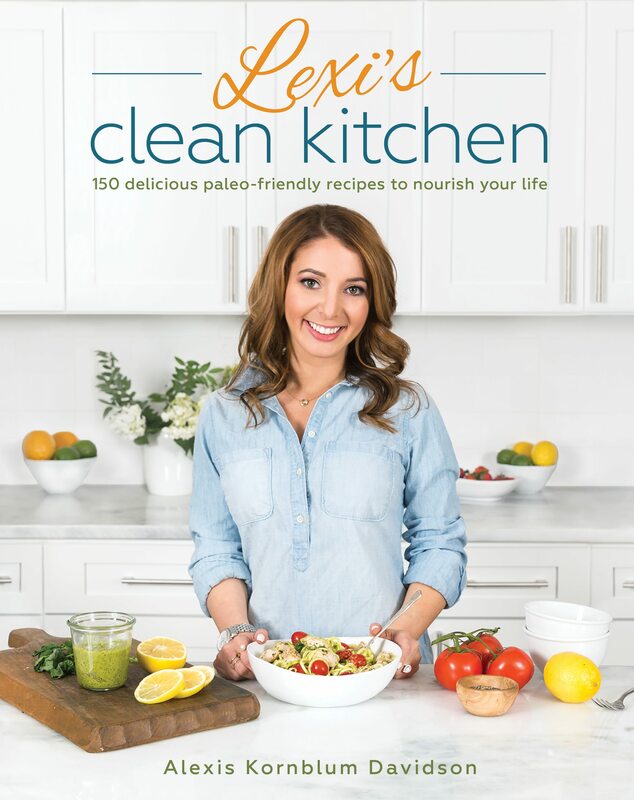 Hands down, most delicious clean recipe ever! Thanks for sharing. I cannot wait to try your other creations. Hi there! Each protein powder generally comes with their own scooper which vary in size, so a scoop depends on your specific protein. Did yours come with a scooper? Hi Sophia! Pumpkin puree and cooked sweet potato are delicious in place of the banana. I bet you could use some apple sauce in place as well, with some minor adjustments to the rest! Lexi , how many pancakes does this yield? What should you substitute Protein Powder for? Thanks!! Lexi-I have been playing around to make a recipe for protein pancakes, and our is almost same.Which means DELICIOUS! 🙂 So, I’m glad I found this website! I wanted to let you and everyone else know of a variation. Instead of flour, I used ground flax seed. Just a table spoon or so. I just let batter sit as the pan became hot. I’ve also used almond flour, which is awesome. You have great ideas- Apple and sweet potato?! Genius. I’m may make them both tomorrow. Thanks again! Hi Lexi! 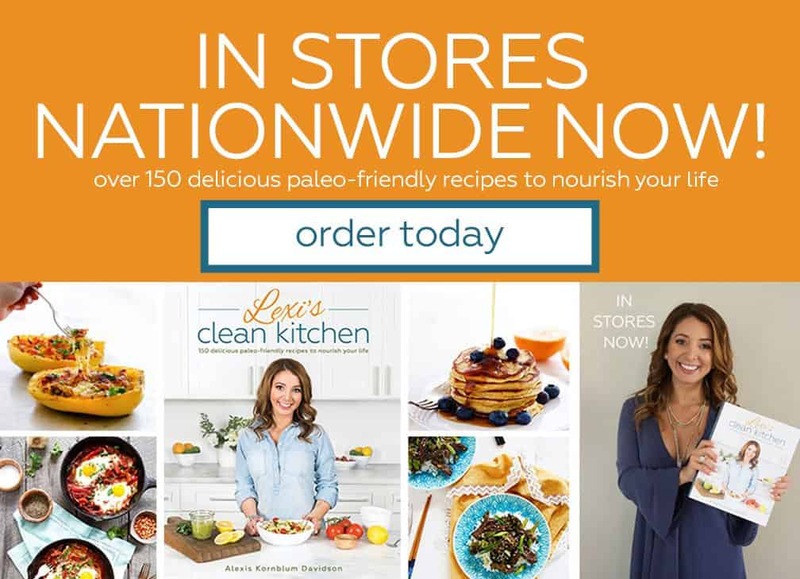 I love reading and trying all your healthy treats! I want to try the protein pancakes for my kids and myself tomorrow- can I use almond flour instead of coconut flour- happens to be what I have in my house! Would you also suggest adding flax for added benefits? Thanks!! Just made these for the first time… they are fabulous! 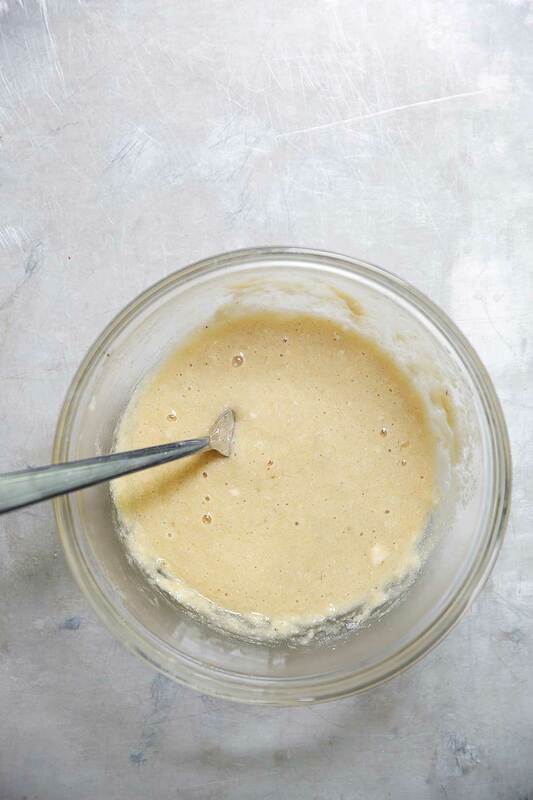 Im new to eating grain free and wasn’t sure how the coconut flour would work….but we loved it. My 3 year old didnt even ask for syrup! Cant wait to try other variations! Hi, just wondering do you need the egg? Or could I leave it out? Allergic to eggs. I tried your pancake recipe this morning and LOVED it! I substituted pumpkin purée for mashed bananas (mine weren’t ripe enough!) and chocolate whey protein for vanilla (because that’s all I had!). I use milled golden flax seed along with gluten-free pancake flour and added vanilla extract, as suggested. They were wonderful! No syrup needed and sweet enough to satisfy a sweet tooth! I quadrupled the recipe and will freeze them to enjoy later! Can’t wait to try other versions! Thanks for a great recipe! I love these pancakes! They are my easy go to sweet snack. I ran out of protein powder last time and used 1 tbsp coconut flour and 1/2 tbsp almond flour and they were still yummy yummy yummy! Thank you for all of the great recipes and awesome website! 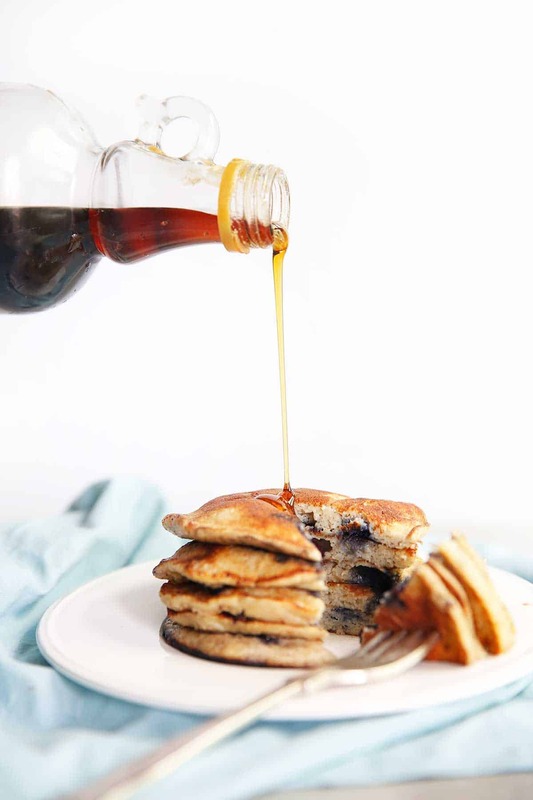 Absolutely adore these pancakes – they’re just perfect! Keep up the great work! Thanks Sonya! Happy you like them! I made these pancakes this morning. Absolutely delicious! My husband and daughter loved these pancakes. I will definitely be making these again! I made blueberry with vanilla protein then iAds a batch with chocolate protein and added a teaspoon of almond butter! Thanks for all your recipes! For the past several weeks, I have been trying (unsuccessfully) to satisfy my pancake craving with a healthy recipe. I have started to want more savory, or non-traditional breakfast foods in the morning. Pancakes are filling in terms of volume, but I never feel satisfied afterwards, and end up eating a second breakfast. However, these pancakes are different! I made them this morning (two batches with vanilla and one with chocolate protein powder), and they were perfect and satisfying. I used unsweetened applesauce for the last two batches and actually preferred the apple sauce to the banana. I felt energized, rather than sluggish afterwards, and everyone loved them! Thank you for this recipe! I’m excited to try the sweet potato pancakes next! These are super easy to make and have an amazing flavor! My daughter is vegan so i used a flaxseed egg instead and added 1/4 cup almond milk and they turned out great! Do you have to use protein powder? These are delicious!! I just added a bit of pure maple syrup and yum!! I made these this morning (coconut and berry compote) and my entire family enjoyed! I really love this combination and the use of incorporating protein powder. Thank you Lexi! Can’t wait to try another combination next weekend! Hi Lexi! I love your blog. I just made your pancakes and they tasted great but I think my protein powder scoop might be a little big. The batter was very very thick. Is this right or should I use less powder or something to thin the batter? Thanks! Just made these for dinner and they were so good, tossed in some pecans and a few chocolate chips. I hope the recipe was only meant for one person because I ate them all! These are unbelievably delicious! I was so surprised at how good they were! I’m confused… three dry ingredients, one semi-dry ingredient (depending on how mushy your banana is?) and an egg? That equals one extremely dry pancake. Every time I’ve made them so far I have had to add like 1/2 cup of liquid just to get them “mixable.” How are they turning out so well for people? Oh and in terms of toppings… strawberries and homemade nutella. 🙂 Unreal!!! I tried making these last night–emphasis on “tried”! I learned a lot in the process, though. For instance, a fork should be used to mash bananas, and it’s easiest when the banana’s not cut up. I also learned that my roomie’s spatula wasn’t heat-resistant. Side note: whatever the spatula was made of came off the pan way easier than I expected. I’m a moron when it comes to cooking, but I’m working on it. I’ve never made pancakes before and tried making one giant pancake (because the recipe didn’t tell me how to divide it… heh). So I wasted two batches before I gave up for the night, but I’m going to try again tonight after work. I’ll have to pick up more bananas, though. Hi Lexi, I love your recipe but I can’t abide the taste of bananas and was wondering it you had any suggestion about what I could replace the banana with? After a few more tries, I’ve finally gotten these down. I don’t even have to work off the recipe anymore! They’re cheap and quick to make and have become a staple for my work dinner! I eat them just by themselves (I’m boring… and too unsure of food to be adventurous yet) and they tend to be awesomely sweet and delicious. Thanks, Lexi! These have become my staple work dinner. This week, I’ve felt brave enough to experiment! Yesterday I had them with 100% whole wheat flour. Today, I kept with the whole wheat flour and chopped up some 74% dark chocolate bar. Eating them right now, and they are delicious! I think I’m going to try adding frozen blueberries for tomorrow. Thanks so much for offering this recipe. It’s the only thing currently I know how to make without consulting the recipe anymore! I found your website through ” The Betty Rocker” blog, and I’m so glad i did! I’m seriously addicted to these protein pancakes, I’ve had them every morning this past week, so so good and versatile. Regular pancakes are way too sweet for me now. Thank you, thank you, thank you! !